Versatile and tasty, Stonefire® Whole Grain Naan will take your lunchbox or appetizer spread to the next level! This quick and easy recipe will satisfy any snack craving. 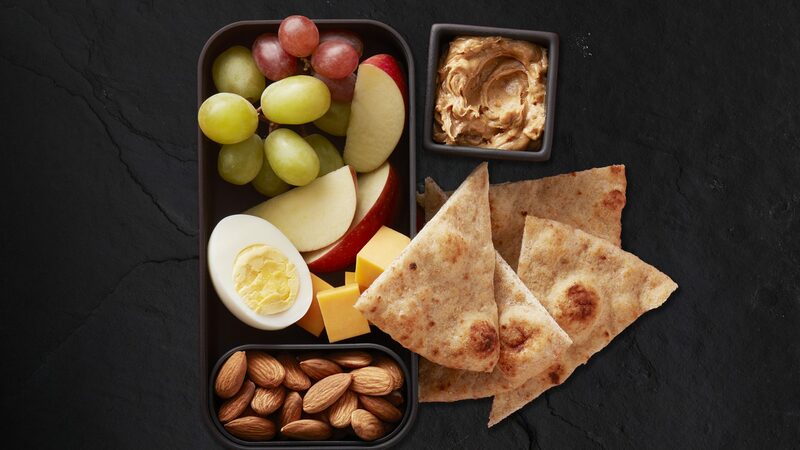 Combine tasty bites like cheddar cheese and apple or peanut butter on Stonefire® naan. This simple flatbread recipe will satisfy both sweet and savory cravings. Cut the Naan into 4 pieces (or whatever size works best for your lunch box) and place in box. Add the listed ingredients to make a protein packed snack or lunch.